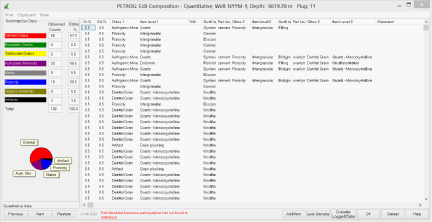 Once compositional data has been captured, it can be edited and reviewed by the petrographer; for instance, to enter 'trace' components’ or to correct observed porosity values to those determined by core analysis or XRD analysis. Alternatively, calculated microporosity can be scaled to fit the difference between observed and measured porosity values. 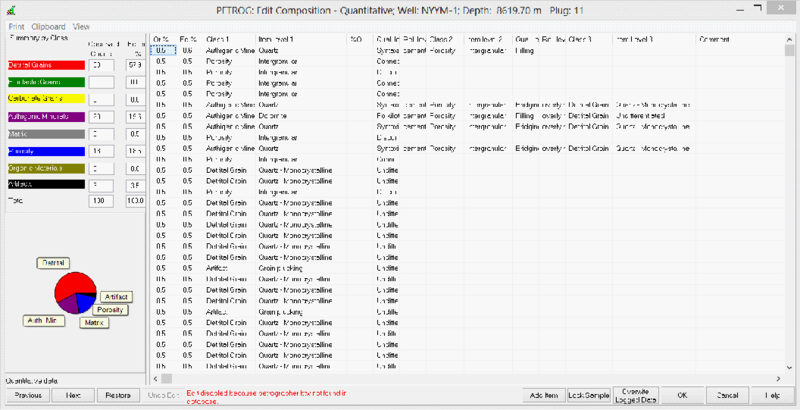 The review process also includes the examination of any images and comments stored during data capture, together with the associated compositional data.